Fusion Corporate Partners are pleased to announce our latest deal. Platts, a McGraw-Hill division and leading global provider of energy, petrochemicals and metals information, has signed a definitive agreement to acquire Kingsman SA, a privately-held, Switzerland-based provider of price information and analytics for the global sugar and biofuels markets. Paul Slight, Director at Fusion acted exclusively for the vendors. The acquisition, whose purchase price was not disclosed, is expected to close on November 1, subject to customary closing conditions. Founded in 1990 and based in Lausanne, Kingsman employs analysts, researchers and report writers in key markets including London, Montreal, New Delhi and Sao Paulo. It serves a global clientele of producers, traders, refiners, financial institutions and end-users, offering a variety of subscription publications covering sugar, ethanol and biodiesel. With its prime focus on market analysis, supply and demand fundamentals and trade flows, Kingsman complements Platts’ long-standing expertise in reporting news, assessing prices and explaining the factors driving those prices. “This is a great move for Kingsman. We will benefit from the strong market position Platts enjoys across a wide range of commodities, the broad operational footprint it has around the world, and its cohesive global sales force. These strengths will enable Kingsman to better serve customers and more quickly expand its business globally,” said Jonathan Kingsman, the company’s founder. Platts and Kingsman provide complementary biofuels services covering Asia, Europe and the Americas. Platts has covered the biofuels market for many years with news and prices featured in its oil and petrochemicals information services. Recently, Platts launched a portfolio of dedicated biofuels information products, including a newsletter, a real-time alert and market data package. 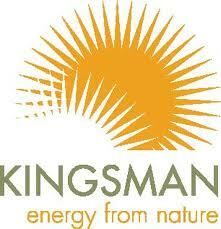 Kingsman, whose business originally focused on the sugar markets, moved into the adjacent ethanol and biodiesel sectors as alternative green fuels were developed in the early 2000s. It currently offers a range of daily, weekly and monthly reports covering ethanol and biodiesel as well as sugar.